Minor spoilers for Mad Max: Fury Road, and Age of Ultron can be found within. I indulged in one of my favourite pastimes yesterday; going to see two films, during the day, on my own. It gave me a sense of normality in what is currently a very frantic period. Plus, I got to eat snacks without judgement. My cinema of choice was Regal Hacienda Crossings Stadium, Dublin, which was very lovely, and served not only popcorn, but also full meals like burgers and chicken wings and stuff. God bless America. I have a vague memory of possibly seeing one of the original Mad Max films in my youth. I don’t really remember to be honest, but there were so many terrible films in the 80s and 90s that the movies of lesser quality just merge into one. 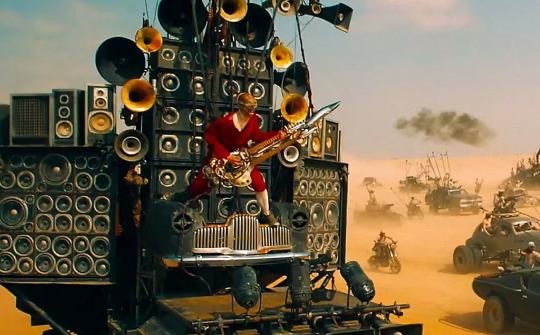 I never thought I would actively opt into seeing a Mad Max film, and with so much enthusiasm. 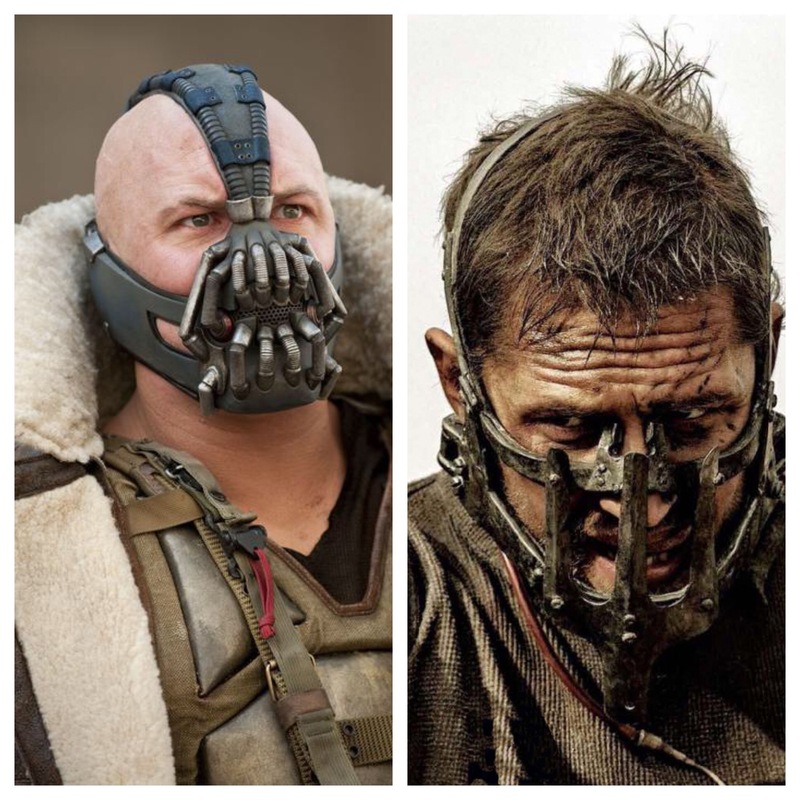 But make no mistake, Mad Max: Fury Road, is not about Max, grunted to life by Tom Hardy (or Bane, as he will always be known to me). This film should really be called The Awesomeness of Imperator Furiosa, the powerhouse, hard-as-nails heroine played by the infuriatingly versatile Charlize Theron. From what I can remember, the only real contributions Max made were to do a bit a driving, provide a shoulder for Furiosa’s superior marksmanship, and give directions to the effect of “go back the way you came”. Oh, and he donated quite a lot of blood, but we should all be doing that anyway. Another revelation was Nicholas Hoult, who I’ve never really got on-board wth as a “movie star”. But he was brilliant as the batshit mental War Boy, Nux. It was a refreshing change of pace from his performances as bascially himself in About A Boy and Skins. Visually, it’s an eye-wateringly beautiful piece of work. The first twenty minutes or so are fantastically frenetic. Any film that reduces its MALE title character to a glorified hood ornament gets my vote. And since the dude who was essentially hired to constantly play a flame-throwing double guitar died, I’m sending my CV Furiosa’s way. My second film of choice was Avengers: Age of Ultron, which you’ve all already seen, so I won’t bother going into depth about it. I liked it, it was extremely enjoyable, and Joss Whedon’s script was positively bursting with witty bon mots, but there was just too much going on. With so many fantastic actors literally fighting for screen-time, it was hard to form a real connection with any of the characters. Strangely, the character I did appreciate most was the uber-evil robot Ultron. But I think that was mainly because I spent most of the film trying to work out who was doing his voice (Stargate’s James Spader, fact fans). Oh, and Andy Serkis was in it for a bit, looking very buff. He gets his arm cut off, like Furiosa in Mad Max: Fury Road. A link! Wahey! Barry Norman, eat your pickled heart out.